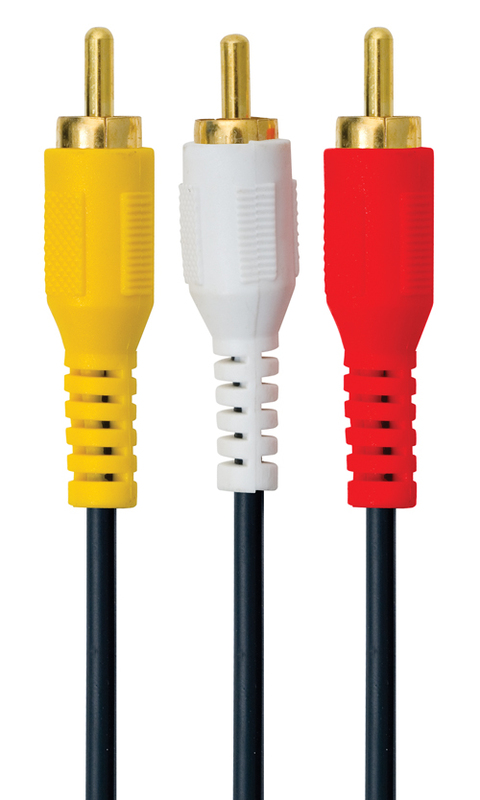 With QFX's 3 RCA to 3 RCA cord, your older home electronics are no longer obsolete. Enjoy your blast from the past as you re-watch that box of old VCR tapes, on the television that your grandmother gave you. This is great since you had to return your new DVD player because you couldn't attach it to the tv. Don't despair just purchase a retro DVD and VCR player and get ready for some a real blast from the past, and free entertainment. 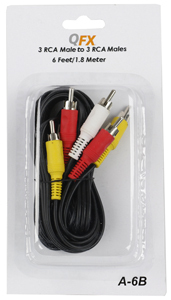 With this 3 RCA Male to 3 RCA male the fun has just begun as you can connect Video Cassette Recorders, DVD players, stereo's, home theater systems, CD players, and other audio/visual components to your television and other types of receivers. The 6 foot length is the perfect size to go from one component to another without leaving to much cord hanging down.